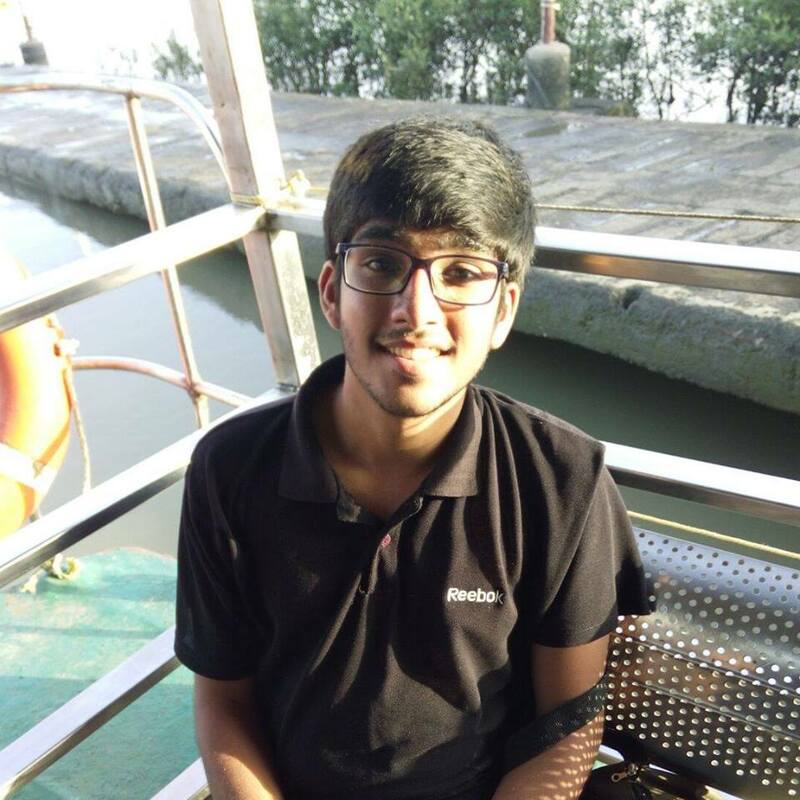 Shivam Agarwal is a first year student at NALSAR University of Law, Hyderabad and had secured All India Rank 81 in CLAT 2016. For those of you who are in the midst of choosing law as a career option, this article is worth a read. At the end of the day, remember, your efforts will reap great results. “Limits, like fears, are often just an illusion.” CLAT 2016 taught me a valuable lesson – To believe in yourself no matter how uncertain your path is. If nothing else, let my story serve as your worst case scenario. I always wanted to study law. I was fascinated by the idea of lawyers; how they could cleverly figure out loopholes, within the framework, and help people. But fate, or actually my parents, had a different plan obviously. I ended up at Rao IIT Academy, sitting for hours together, where instead of trying to study, I was trying to figure out the meaning of life. After a year of dragging myself, I simply could not take it anymore. I expressed my desire to switch streams and it did not go down well with my parents. But I had had enough of science for a lifetime. I just could not take it anymore. Somehow, I convinced them that law was my calling, and felt euphoric. But the fact that the daunting task of cracking CLAT and proving my point was still left, was not lost on me. Hence began my journey with CLAT. After successfully clearing CLAT, the first thing I would like to clarify is that many people have a misconception saying that CLAT is about luck. They could never be more inaccurate. It is absolute and complete hard work only. And obviously, hard work is nothing without smart work. You need to set time frames for your short-term goals. No one can be a better judge of your performance than you yourself. Understand what your weaknesses are and work on them. I cannot stress enough the importance of mock tests during your CLAT preparation. Mocks are necessary because they really help you decide which strategy works best for you. You come across papers of different levels, which is absolutely necessary, keeping in mind the unpredictability of CLAT paper setters [See: CLAT 2015 and CLAT 2016]. But simply giving a mock and not analysing is the same as not giving the mock. If you don’t identify your mistakes and work on them, trust me, you’ll be beating a dead horse. After each mock, spend at least an hour or more to identify your mistakes. Another piece of advice that will be very helpful is to never be insistently rigid in choosing a strategy. You need to improvise and constantly change your strategies according to the paper. For example, the strategy for the 2015 paper simply couldn’t have been used for the 2016 paper. Always keep yourself calm and clear-headed during the paper. Especially when it’s not going as well as you think it should. Your mind is your greatest asset; so don’t lose it away in the face of difficulties. No doubt, the exam is important, but it is not the end of the world. It might sound cliché but it is incredibly true. Life always offers opportunities, often in ways you cannot comprehend yet. I have prepared for CLAT for one year and I know that it can be really taxing. It is fine if you don’t want to study for a day or two. It is absolutely all right if you have to attend your friend’s birthday. Not to set a bad example but I finished the entire Breaking Bad series in April. It is fine to cut yourself some slack, but do that only when you think you’ve earned it. It is essential to get proper sleep and rest. Take it easy, but just go on at a steady pace. Rome wasn’t built in a day and neither will your foundations be. “Why do we fall?” So that we learn to pick ourselves up. Never be disheartened by failures. It is completely fine if you screw up in a mock. That is why it is called a ‘mock’. Learn from your mistakes and move on. The last thing you want is fretting and crying a week before CLAT. Have confidence in your abilities and faith in the effort you’ve put in. If you require any help anywhere, feel free to get back to me through the comments section below and I shall reply at the earliest. All the very best! Very good n clear tboughts depicted with facts. Good article for beginners n self motivated students. I am manav chordia from surat , I have recently decided that I wanna go for law as my career , is it too late ? It is never too late to begin. Just focus and work towards your goal, with dedication. In order to improve English, I’ll suggest you start with Wren and Martin, to cover the basics of grammar. Further, solving mocks and reading books will really help you. Read articles and editorials in The Hindu, and to improve your vocabulary, I suggest you should read Word Power Made Easy. Either u drop or prepare with ur college studies.It does not really matter till yet u are comfertable with what u r doing.love what u do and i am sure u will have results. Thanks for motivating. It was really needed at this point of time (at least for me). Shivam!! U just proved it boy!! Missing you!! Hope we both meet up soon!! I would love to hear ur experiences in personal. Thanks for sharing . It will really be a help. I would really like to talk with you . Happy that I could be of help! Very well written Shivam…. proud of you…!! Superb Shivam! Well written and to the point. all my efforts to prepare for the Law entrance goes in vain….i bought all the materials a year ago….yet my school and academics drag me. im a science student! studying 12th for 2 years puts a little pressure to rank high..
now i have a question..should i less concentrate on my academics and bring all my focus to Entrance examination? Its never too late to start right..?. im grate full with even 80% marks in my board ! and im so reluctant to pursue my dreams…. thank you so much for patiently reading Shivam! hoping for your advice ! Hi.. Really motivating.. But I wanted to ask if you prepared for clat during a drop year or with your 12th?? Is now too late to start? I rate this article 2.8/5.